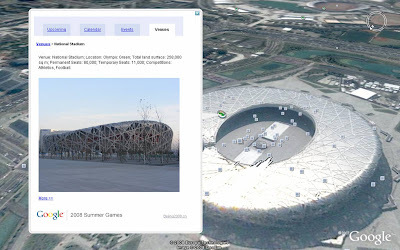 Google Olympics - 5 ways to use Google products to help you enjoy the Olympics! 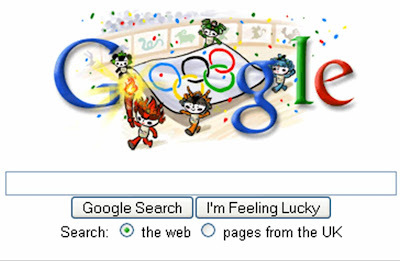 The Olympics start today and Google have launched a range of products to help internet users enjoy the Games! 5 of my favourite examples are below. Event information and timings are available by just typing 'event name Olympics' into Google. Simple, but really effective way of getting event info! 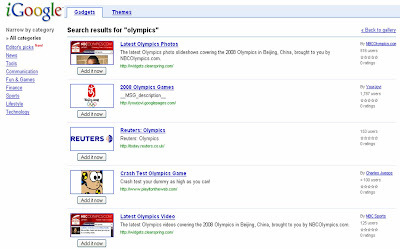 A large number of iGoogle Olympic Games gadgets are available for users' personalised iGoogle homepages. Medals tables are being embedded into Google Maps so it is easy to get the latest medal stats for any country. 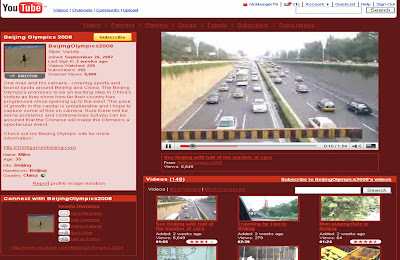 There is an official Olympics YouTube channel at http://www.youtube.com/user/BeijingOlympics2008 containing Olympic Games related videos. The Olympic Games is a great opportunity for Google to showcase their product portfolio on a global basis and Google have clearly thought hard and invested significant time into the development of these products - once again showing the versatility of the Google portfolio. Google are also planning to offer all of these services for mobile as well as desktop consumption. My Dear Second Brother on the Right - new Olympic hero has name and is not competing! Michael Phelps Facebook Fan Page - over a million fans now!